Young at Heart Lunch & BINGO! 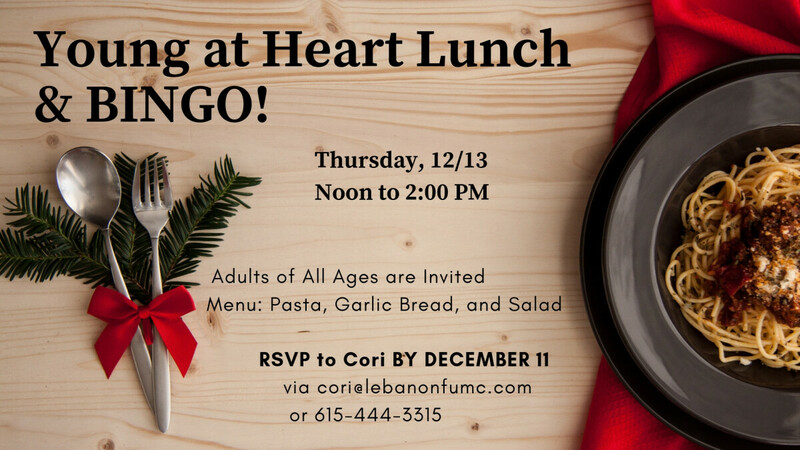 Young at Heart is a monthly gathering of adults of all ages who meet to have lunch, celebrate birthdays, and spend time together doing various fun activities . December's event happens on 12/13 with a menu of pasta, garlic bread, and salad. We will play BINGO with small prizes. RSVP by Tuesday, December 11 to Cori in the church office.